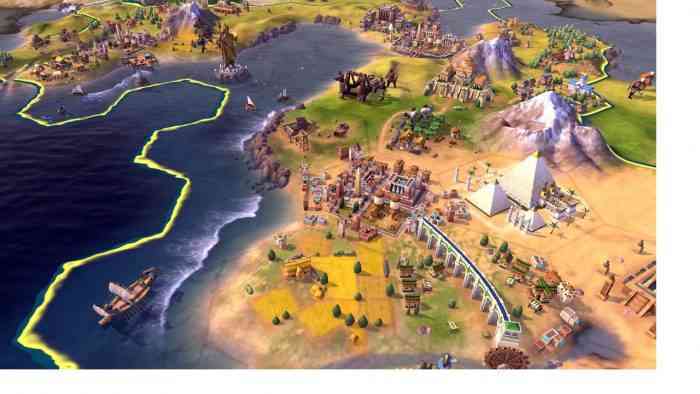 Civilization VI: Gathering Storm is everything I hoped it would be. 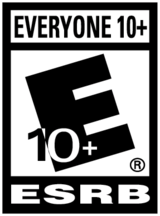 It’s a significant expansion, on par with Civilization V: Brave New World. The new features, factions, and leaders are fun, but what really makes it shine is how radically it transforms the endgame. 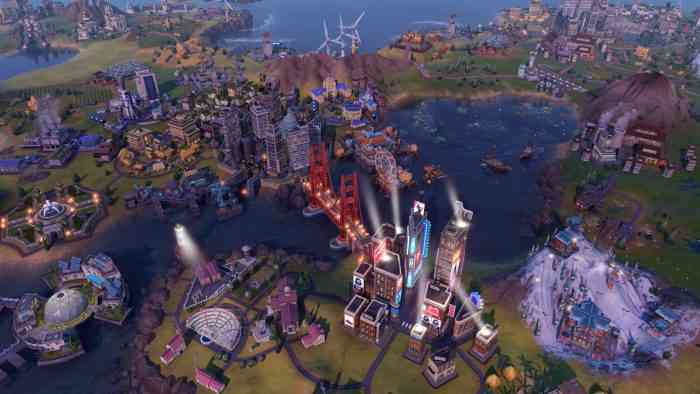 In less tangible ways, many subtle balance and pacing changes (especially concerning the behavior of computer-controlled Civs) make for a much more dynamic game. If you want some deep consideration of the new systems, you’re going to have to hold out a little bit longer and wait for my review. In the meanwhile, I’ll take you through my most recent gameplay, highlighting exciting new features as I go. In this game, I played as new civilization Sweden under the leader Kristina. Despite a degree in history, I’ve never heard of Kristina, but she instantly became one of my favorite European monarchs. Known as “the Minerva of the North”, she was a devoted patron of the arts and scientists, one of the few women to be honored with a papal funeral in the Vatican, and almost definitely a lesbian. She needs a biopic, now. We started on the coast of a large, fractal map. Instantly, there were new things to consider. My starting location was slightly elevated on hills. But new icons indicated that a lot of the low-lying areas were vulnerable to coastal flooding. If and when global warming started to melt the polar ice caps, a lot of my farms and districts were in danger of being submerged unless I could mitigate the problem with technology first. But that was thousands of years away! I settled my capital and went out to explore. I was delighted to find that I was protected by an extreme mountain range to my east, and that the low-lying parts of my nearby territory were covered with rivers. I expanded aggressively, and my neighbors did the same. To my west were new civilizations: the Ottomans (led by Suleiman the Magnificent) and the Khmer. Beyond the eastern mountains was Scythia. I don’t know if it was just luck of the draw or if the new map-maker has been beefed up, but there were plenty of exciting terrain features to consider. My border with the Ottomans was mostly jungle and river, littered with a few volcanoes. The mountain range that protected me from Scythia was bisected by a narrow canyon (only one or two tiles across) which was bordered by Mount Everest, one of my favorite natural wonders. Those early years were mostly a push and pull to get Mount Everest. I didn’t need the bonuses — Sweden is sort of crap at religion and the Khmer were already converting all my people to Buddhism. But I wanted it. This was about self-respect. Scythia can be a beast at warfare in those early ages so I didn’t push too hard, but I had my eye on it, even as the Ottomans were posturing and starting border skirmishes. Instead, I built wonders and theater squares and started hording a new currency called “diplomatic favor.” I didn’t know exactly what it would get me, but other leaders kept asking for it in trades, so it seemed like something I wanted to hang onto. I quickly found out why. In the medieval era, the first world congress was called. There were a few different proposals, and I could invest my diplomatic favor to sway the votes in a sort of blind auction system. I got so focused on things that could earn me more Great People (Sweden’s bonuses are largely concerned with Great People) that I didn’t even see the sneaky hit coming — Scythia endorsed a policy that let holy site districts act as culture bombs — and then proceeded to bomb the hell out of our shared canyon border, gaining uncomfortable tactical ground. I couldn’t let that stand. Fortunately, I built up another important resource: grievances. At some point, I had created an alliance with the Zulus, and Scythia had been very bad to them, giving me grievance points. These allowed me to declare a formal war with minimum diplomatic consequence. Gone is the “warmonger” score. Now other civs understood my beef with Scythia. They had been aggressive towards my ally; it was only natural that I would step in. Even though my motivations had everything to do with this canyon. Mwah ha ha. I wish I could say I won the war through tactical brilliance, but this is one place that the AI is still fairly predictable. I used the bottleneck at the end of the canyon to draw the Scythian cavalry into one leveled up pikeman and a military district, supported by ranged units. After that, it was a simple matter of sweeping in with siege engines and taking a few cities. The canyon and Mount Everest were mine. Scythia, so recently a world power, had been repelled. I never went to war with Scythia again. I didn’t have to. Using some new governor features, I whittled away their loyalty until all of their cities defected to me … including their capital! I had never used loyalty so much in Rise and Fall, and certainly not to take a freaking capital! The slight balance tweaks make me excited to go back and play as the Mapuche or maybe the Persians. My development continued and with my beefy new empire I quickly rose to the lead for a cultural and diplomatic victory. I had a decent amount of gold, so when hurricanes started ravaging the Zulu and Georgian empires, I gifted them with it. Not only did this cement them as lifetime allies, it gave me points towards a diplomatic victory (points that you can later compete for using diplomatic favor points). I had a few border skirmishes with the Ottomans and one naval war with the Khmer, but most of my interactions with other civs happened through diplomacy. At a certain point in my war with the Khmer, I earned the Great Admiral Yi Sun-Sin, who had granted me an ironclad, which helped me win the war. Then I noticed an update on a new tab that chilled my blood … my use of coal was very slowly contributing to global pollution. Eventually, seas would rise and storms would intensify. As I got into the Industrial Era, buildings started asking for electricity to give me their full bonus. And I only knew two ways to generate electricity, one of which was more coal. The other though, was hydroelectric power. The western half of my empire was covered in rivers, which I had been damming up to manage flooding. This turned into an early (but insufficient) source of electricity, which guided my slow growth until the Modern, Information, and eventually the Future Era. It was at this point that Macedonia, once a distant power, started to become a problem. Macedonia was militarized as hell, and building nuclear missile silos all over the place. They weren’t launching anything, but they were posturing, and I couldn’t let that stand. Using my substantial wealth, I fulfilled all my adolescent anime dreams, and built a series of Giant Death Robots. These GDRs are freaking awesome and had whole parts of the tech tree devoted to making them awesomer. I didn’t manage to fully conquer Macedonia, but when their troops started pouring in, I cranked the Neon Genesis Evangelion theme and pushed them back with my GDRs, taking a couple of their cities in revenge. At this point I had gotten so far in the diplomatic game, no one could catch up, but there was a worry. A bunch of distant civs, including Australia, were much farther along in the science game then me. My network of spies could slow them down, but that was a risky move. I couldn’t count on my diplomatic victory coming before Australia started colonizing exoplanets. My cultural victory was doing very well, but those damn Ottomans were way ahead of everybody else, and I didn’t know if I could overtake them. Enter another amazing new unit: the rock band. These cultural soldiers have a unique upgrade tree and can go on tours in other civs, playing shows at wonders, campuses, theater districts, and any tile that provides entertainment or tourism. You can make your band a reggae group that has bonuses performing on the coast. Or you can make them a religious band that scores converts as they play. The important thing is they give you a one-time burst of tourism greatly closing the gap. Also, you need to name them. The random name generator came up with Atomic Mind for one of mine, and I rolled with it. The game ended when Atomic Mind gave a transcendent performance in front of the pyramids. It was the push I needed to get all the Ottomans buying my blue jeans and listening to my pop music. It was the end to the most dynamic game of Civilization VI I had ever played. I can be a finicky Civ player. I’ll quit a game or restart if I don’t like the way things are going. I start way more games than I finish. I’ll become so consumed with a certain victory path that I’ll neglect other aspects of my empire and quit in a huff at the sight of an invading army or a significant culture bomb. In this game, I suffered every possible setback and through desperation and perseverance, found the tools I needed to emerge victorious. There’s so much to unpack here, and I will, especially when it comes to the late game and that mysterious enticing Future Era tech tree. But for that, you’ll have to wait for my full review. 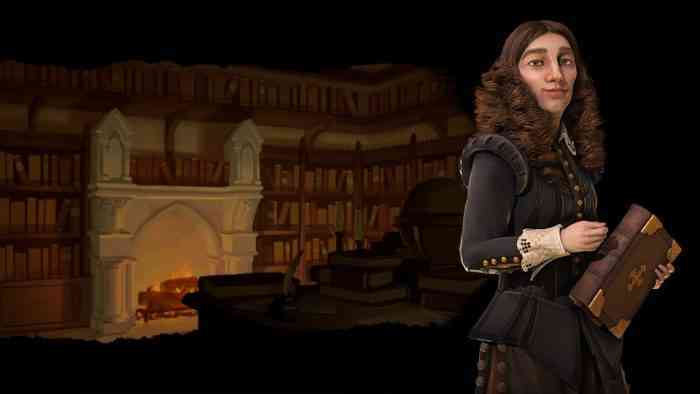 I’ll also be getting down to basics a little bit, and enthusing about some of the best new Civs- including Canada (our home and native land) and one mysterious new leader who I’ve got to remain mum about for now. But you’re going to be stoked when you hear, and I can’t wait to tell you about it! 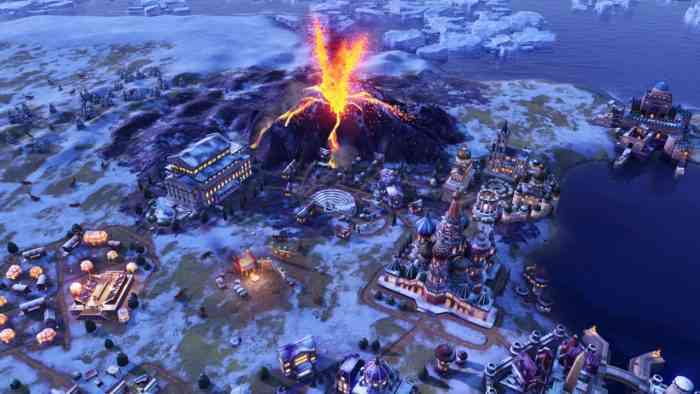 Civilization VI: Gathering Storm comes out on Valentine’s Day, February 14, 2019.